As we kind of settled into the new house I wanted to make something personalized for the holidays. What’s better than a wreath with our family initial? I probably spent a good hour in the garage going through boxes to find all the materials I needed. We were still unpacked at that time and my entire craft stash were still in boxes. Ugh. 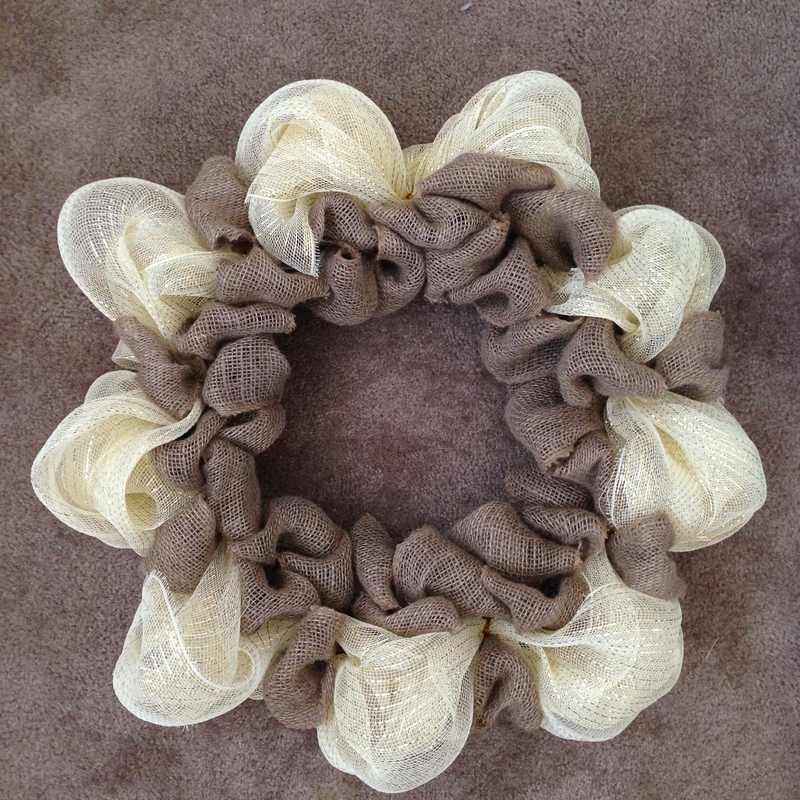 I had to get a wreath frame from Michaels and a wooden V. I already had the cream deco mesh, burlap and jute twine. 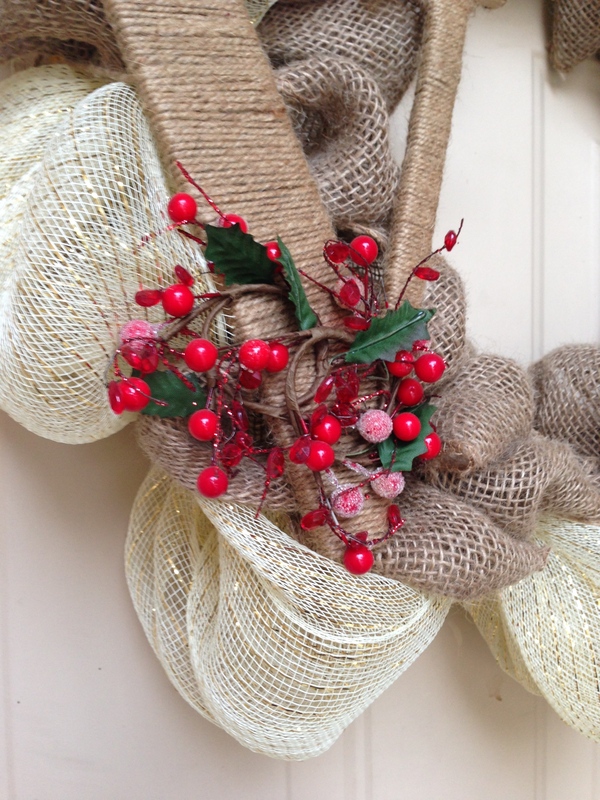 I’ve seen a lot of DIY wreath tutorials online but it’s either with deco mesh OR burlap and not both. So I decided to combine the two and it turned out really nice. I followed this YouTube tutorial for working with deco mesh http://www.youtube.com/watch?v=eUSKQgRxPHU. And then I followed this one for the burlap http://www.youtube.com/watch?v=ZzsCbHT8IvA. 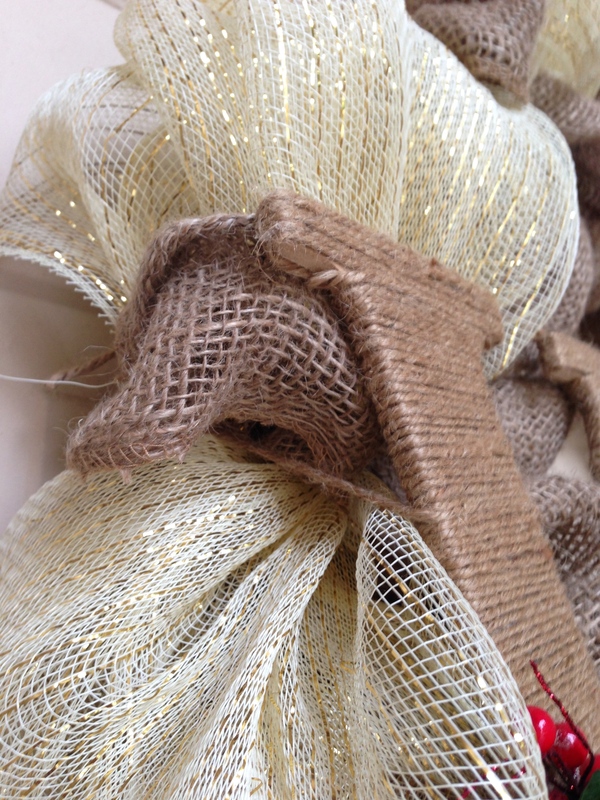 The initial was pretty easy to do, you just wrap the twine until it’s covered and glued the ends. After doing that, I glued some cranberry looking decor on the letter. Now, attaching the letter to the wreath itself was a little tricky. But I did figure out a way. I got some twine and tied it to the wreath and made it look like it’s part of the initial. 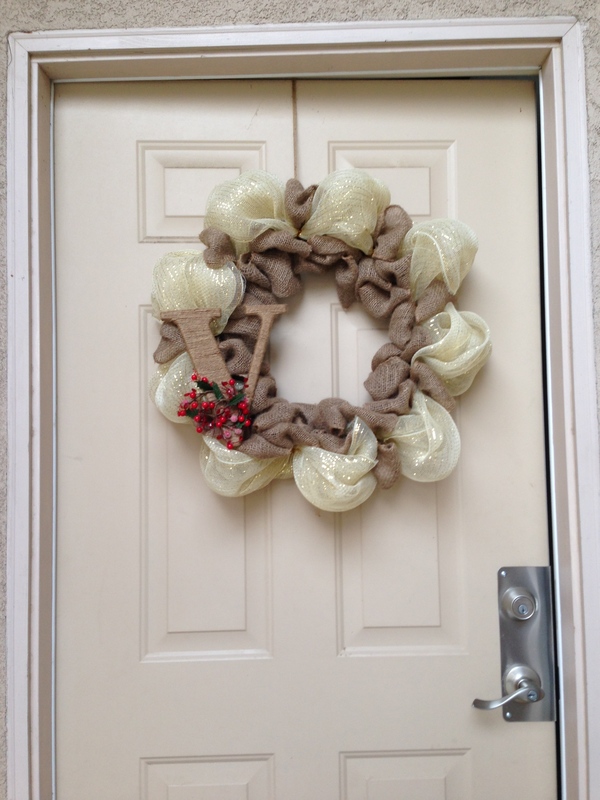 Used more twine to hang the wreath on our door. And there you have it. 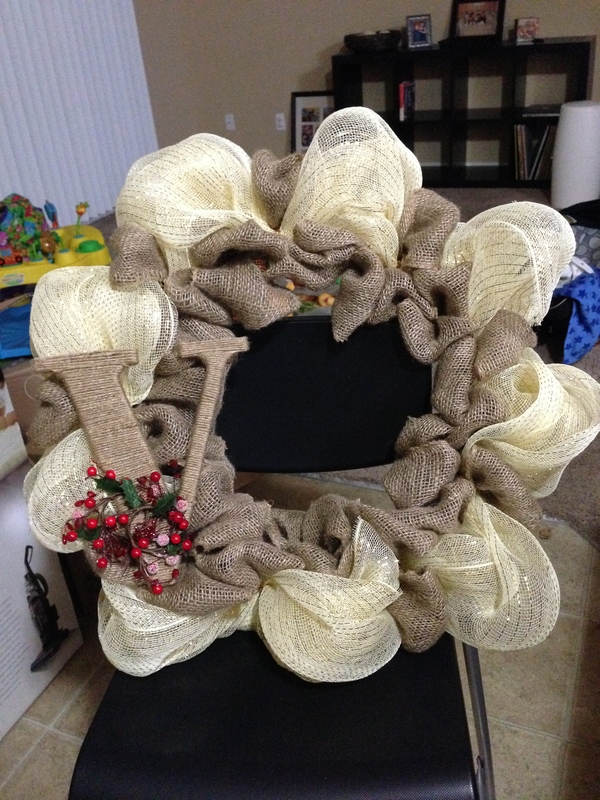 This entry was tagged burlap, Crafts, deco mesh, DIY, glue gun, holiday, initial, jute twine, wood, wreath. Bookmark the permalink.